Tired of freezing your buns off at the bus stop? Sick of shivering your way through Wintertime? You’re not alone. Today we’re looking at must-have products to survive the chilly times in warmth and comfort. With any of these products, you can enjoy the frostiest outdoor adventures and stay warm and toasty too. Add some cushion for your tush with this great portable Gel Seat Cushion that adds just enough insulation and comfort to soften the hardest stadium seat. Only 3.5lbs. and just 2 inches think. Use it indoors or out, at church, your car a concert or camping. Designed to protect your hands from cold weather but allow for a high level of dexterity, these multi-purpose cold weather gloves are a must-have for your glove box, tool box or back pack. 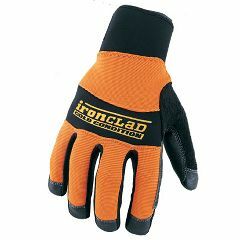 Use them for clearing snow, changing a tire, or keeping your hands warm at the stadium. Wicking material wicks away perspiration. Breathable, but resists water and oil. Non-slip reinforcements on palm and fingers for enhanced grip and abrasion-resistance. Neoprene at the cuff and knuckle. Machine washable. Say goodbye to frigid feet with this 30 day supply of tootsie toasters by Grabber. 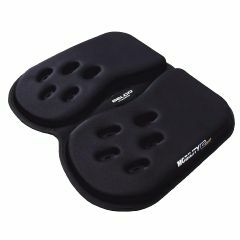 These foot warmer inserts slide into your shoes and provide 5 hours of soothing warmth. Great for the ski slopes, arthritis or working outside in the cold. Nothing warms you better than a nice relaxing spa. 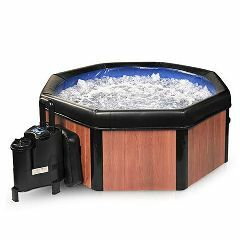 Own your own bubbling, whirling spa at a fraction of the cost of a traditional hot tub. Put it together in less time than it takes to whip up a batch of margaritas and without tools to boot. Plugs into a regular household outlet. Seats 4 to 5 people. Great gift for the family. Use it indoors or outdoors, on your patio or deck, in your condo or apartment, lakehouse, cabin or boat! 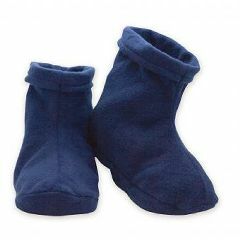 Microwave the reusable scent pack for a minute and put them back in the fleece fabric boots for an hour of moist heat and warm feet! The lightly fragranced pack emit soothing scents of clove, cinnamon and eucalyptus. For cold hands, add the Bed Buddy Hand Warmers or get everything, including the sinus pack in the Bed Buddy Heat Therapy Kit. A great solution for relief from arthritis, ache stiff, hands or treatment of RSIs. One size fits most. Washable and reusable. Lightly scented. Disperses moisturizing mineral oils and Vitamin E to hydrate and nourish your skin. Choose your favorite aroma or use unscented. Microwave for 25 to 30 seconds to warm. Use up to 3 times daily. Use the Bed Warmer anywhere you want to warm your bed. Placed at the bottom of the bed under the sheets, the Battle Creek Bed Warmer warms your legs and feet rather than the whole bed. Or, position warmth exactly where it feels best! Costs less to operate than an electric blanket. Soft, breathable cotton lycra will make you want to wear these gloves day and night. 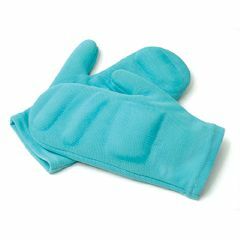 The mild compression and warmth helps increase circulation and promote healing of arthritic, achy, painful, stiff hands. Great for working around the house, on the computer or in the garden to keep your hands warm but your fingers free to feel, touch and grip. The open fingers make it possible to use your tablet and smartphone without taking them off. The gripping dots ensure that hot cup of coco doesn’t slip away. At home or in the office, the Toasty Toes Personal Heater – Deluxe Ergonomic Footrest keeps feet warm, happy and comfortable. 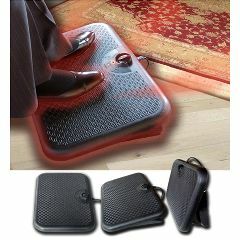 This “deluxe” footrest is thermostatically controlled to heat your feet and legs to the perfect temperature. Use in the office, study, basement, garage, porch, or craft room. Works seated or standing as the footrest fold flat. Versatile, three position design works the way you do. The 6 foot cord plugs into any 110v outlet and this must-have foot warmer uses less electricity than a lightbulb. 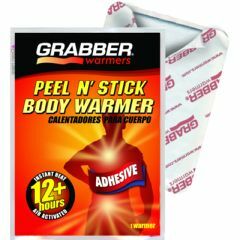 Grabber Peel-n-Stick Adhesive Body Warmers – Standard equipment for anyone who enjoys outdoor winter time activities. Widely used for soothing cold, sore joints and muscles as a result of Arthritis, Raynaud’s, Lupus, Scleroderma, Fibromyalgia or just poor circulation. 40 portable heating pads per box, one time use, disposable. Warms for 12+ hours. For cold feet and cold hands, use Grabber’s Foot Warmers and Grabber’s Hand Warmers. Get a case and divide them up for stocking stuffers or gifts for your team members and friends. 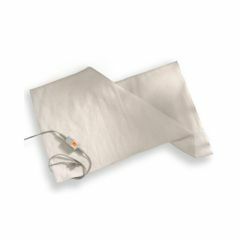 Visit us at www.AllegroMedical.com to learn more about these and other great cold weather relief products. For more than 15 years, AllegroMedical.com has been the leading online distributor of home health and wellness products. Rely on Allegro Medical for all of your diabetic supplies and other health needs.